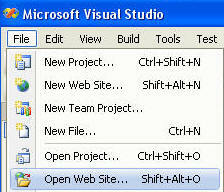 Create a new website in Visual Studio by selecting File from the toolbar and selecting New Web Site. 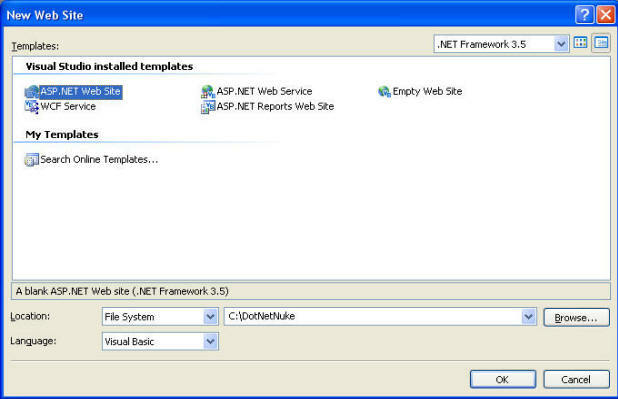 Create a Visual Basic website. Remove (delete) all the files. 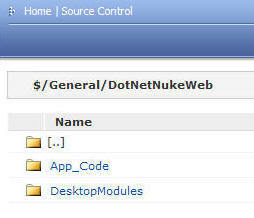 Add the web site to Source Control. 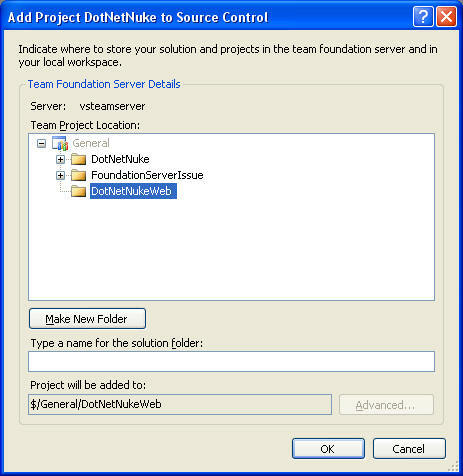 Open Visual Studio and then open the website using Open Web Site. You will then be prompted for your Team Foundation password. It is checked into Source Control normally. 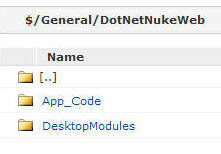 Only the App_Code and the DesktopModules directories are stored in Source Control, not the entire DotNetNuke site.